Viral Cash App is a software leveraging the concept of viral video content sharing on social media networks to generate organic traffic, which allows you to earn online income through advertisements as views click on the viral videos. Who Is The Founder Of Viral Cash App? How Does Viral Cash App Work? What Is The Cost To Join Viral Cash App? Is Viral Cash App A Good Investment? Viral Cash App is a web-based automated software allowing you to build an affiliate marketing website hosting viral video content, mostly funny videos. Using the app, you don’t have to purchase your own domain or web hosting services as everything is offered through the app and hosted on the Viral Cash App share hosting server. The viral Cash App training module will teach you how to find YouTube viral videos and embed them on your website then share them online to generate thousands of visitors. The Viral Cash App monetizes methods include advertisements, product placements, and affiliate links. The entire business concept of Viral Cash App is to share your viral video content and webpages on social media hoping to go viral and generate online income when viewers clicking on the affiliate product placement links. If you met all the requirements above, you can sign up to be a member of Viral Cash App and make money today. Viral Cash App also claims that the program has exclusive access to the $70 Billion resources for you to generate unlimited free traffic and make millions online. Matthew Neer is the founder of the Viral Cash App. Who is Matthew Neer? I can tell you that Matthew Neer is a real person. He is an experienced online affiliate marketer and a creator of several products and programs over the past few years. Viral Cash App is not his first attempt. Just because Matthew is a real person, this does not mean that I am saying Viral Cash App is a good business opportunity to invest. You must do some more market researches before deciding this for yourself. The first step to do is visiting the Viral Cash App website to register and set up your membership account. There is no need for any software installation. Once your account is set up and verify, you can log in and start your training and configuring your online business. The automated system will walk you through all the steps of choosing a category and niche, picking a keyword related to your niche, and adding an affiliate link for monetization. After completing the steps above, Viral Cash App software will create custom webpages with viral videos that you have chosen which you can now share on social media networks. According to Matthew Neer, you will make money online whenever a viewer watches your viral videos on Facebook or YouTube. This is exactly how Viral Cash App works. The initial investment to join the Viral Cash App is at $47 with upsells and other product recommendations to increase earning potential. Like all Matthew Neer’s business opportunities, all product recommendations are Clickbank products which mean they are worthless and do not bring improve your business earnings. Remember, you are not required to buy any of these upsells. The Viral Cash App has three upsells, $149, $97 and $197. If you purchase all the product recommendations, your Viral Cash App business investment would cost more than $500. A $500 initial investment is low compared to other business opportunities, but for an online business opportunity, this is too expensive, especially for Clickbank products. The standard Clickbank 60 days money back guarantee does apply to Viral Cash App. However, the 60 days guarantee does not apply to the upsells. The concept of using viral videos to generate traffic is not new, but it is not that easy to make money with just viral traffic. The biggest problem with Viral Cash App using social media is that the massive amount of targeted traffic can only generate by paying for Advertisement, this means you have to pay, and it can be very costly. Viral Cash App method of simply sharing videos on social media will not generate massive traffic, even if it is funny. The reason is that all social media platforms placed a reaching limit which means only your friends are the ones seeing it. If you are lucky, your friends reshare the videos to their friends and that’s it. This method of sharing will not generate massive online income as claimed by Viral Cash App. The methods that Viral Cash App uses to monetize the videos and website are another major business setback. This program relies only on ads and product placements. For Advertisements income, Viral Cash App focuses heavily on Google Adsense. However, as we all know that Google Adsense is hard to get approved and it pays Pennies. Google Adsense requires a publisher to constantly produce fresh, original contents, not duplicate videos like Viral Cash App. You will have a hard time to get approved into this advertisement program. Even if you are approved for Google Adsense, you can only earn a few pennies when a viewer clicks on the affiliate links. This will take a long time to recover your initial investment of $500. Viral Cash App uses Amazon Affiliate and Clickbank Affiliate programs for product placement. The problem with Clickbank products is that most of their tech products are junk, like this Viral Cash App. The high refund rate makes this very difficult to generate a decent amount of income to operate your online business. I cannot see how you can sell Amazon product on the viral video when all social media networks also including their own advertising into this video. Whose wants to watch a video with mostly ads? This method will kill the video even before it goes viral. This seems to counter the Viral Cash App business concept of creating viral video content. In my opinion, It is very difficult to generate a good online income with this Viral Cash App. 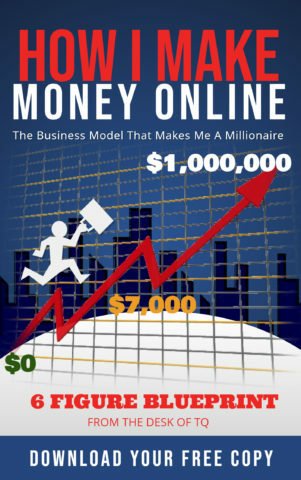 The truth is that I think Matthew Neer has created this program to make money for himself and those selling the program. I do not believe that anyone who is using the Viral Cash App will make money online. With all of these reasons, I suggest that you should do more research before handing over your hard earned money. There are many good online affiliate marketing opportunities for you to invest online. All the best online training programs allow people to try before investing. I suggest you go this route because it is safer, and you can choose the right affiliate platform to build your online business.